Grand Rapids infoshop The Bloom Collective (8 Jefferson SE, Grand Rapids) will host a screening of the documentary "The Trials of Henry Kissinger". The film showing is open to the public and no one is turned away for lack of funds. 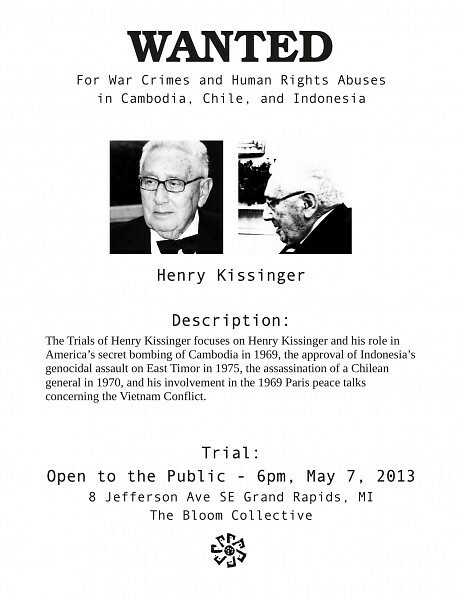 Grand Rapids infoshop The Bloom Collective (8 Jefferson SE, Grand Rapids) will host a screening of the documentary "The Trials of Henry Kissinger." The film is based on the book by Christopher Hitchens, and examines some of the allegations of war crimes aimed at Henry Kissinger, National Security Advisor and Secretary of State during the Nixon Administration. The film calls into question the actions of Kissinger in regards to U.S. foreign policy and involvement in Indochina, Bangladesh, Chile, East Timor, and Cyprus. "The Trials of Henry Kissinger" is portrayed from the perspective that Hitchens approaches the narrative by maintaining a focus on the accusations and evidence that would potentially stand up, based on precedents like Nuremberg, in the international courts. 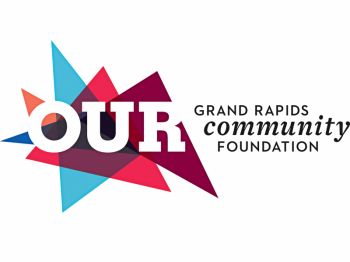 The screening of the film is in response to Kissinger's visit to the Economic Club of Grand Rapids on Monday, May 6. Requests for a statement from the office of Henry Kissinger in regards to the film, and whether he would be attending the screening, were unanswered.